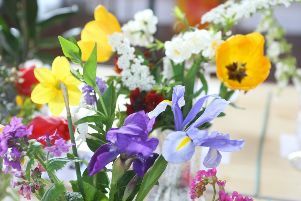 Shoreham Horticultural and Allotment Society’s annual plant sale was its best yet. Everything on sale at the Shoreham Centre on Saturday was sold out long before the given finish time. Daphne Thomas, the society’s show secretary, said: “The plant sale was our best ever, so much so that we had sold out of all plants by 11am. Members had a variety of reasonably-priced, good-quality, homegrown flower and vegetable plants available to buy. The society will stage its early summer show at the Shoreham Centre on Saturday, June 9, from midday to 3.30pm. Visit www.shorehamhorticulturalsociety.org for more information.